This week has been a fun one, but a busy one! I am exhausted and we have a full weekend ahead...I have a feeling Monday is going to be tough! Today I am excited to share a very meaningful collaboration with you. With the holiday season upon us, many collaboration opportunities arise; it is not often, however, that an opportunity like the one I am going to share comes along. About a month ago, I was contacted by Richmond's Ronald McDonald House. They offered me both a tour of the house and a complimentary copy of the Dillard's exclusive, special edition, Southern Living Christmas Cookbook. This special edition of the cookbook, which also includes a "Year-Round Celebrations" bonus section, features more than 200 recipes for the holiday season and beyond. It is only $10 and all proceeds from its sale go to the Ronald McDonald House. I already know of 4 or 5 people on my list that will be receiving a copy for Christmas! At such an affordable price and for such a deserving charity, the purchase is really a no brainer! So now for the recipe, and then I'll conclude with a little more about Ronald McDonald House! When choosing a recipe to share with y'all, the options were endless. 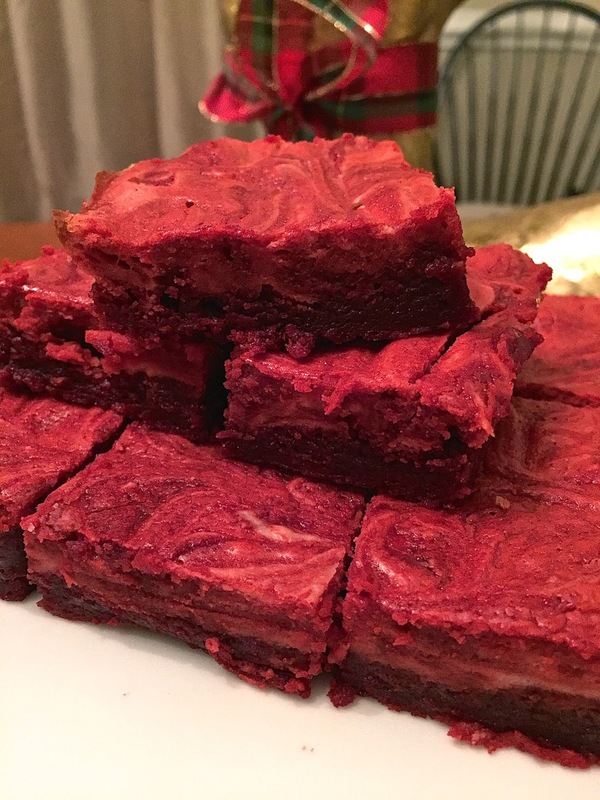 The major contenders for this blog post were: Bacon-Wrapped Bourbon Figs, Fennel & Potato Gratin, a Tiramisu Layer Cake, and Red Velvet Brownies. 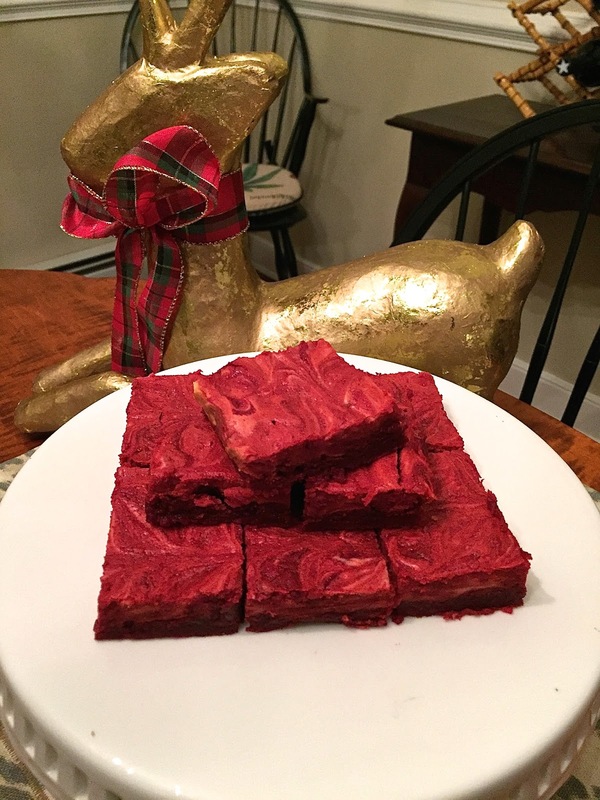 The Red Velvet Brownies ultimately won out, one, because I'm a sucker for red velvet, and two because I thought they would be a festive option to take to holiday parties. Below you will see the recipe. My commentary is italicized, the rest is verbatim from the cookbook! Preheat oven to 350º. Line bottom and sides of a 13x9 inch pan with aluminum foil, allowing 2 inches to extend over sides; lightly grease. Micowave chocolate and butter in micwave-safe bowl at HIGH 1 and 1/2 to 2 minutes or until melted and smooth, stirring at 30-second intervals. (I melted on the stovetop only because I have had bad luck burning chocolate in the microwave.) Whisk in 2 cups sugar. Add eggs, 1 at a time, whisking just until blended after each addition. Add food coloring, peppermint extract, and 1 tsp. vanilla. Gently stir in 1 and 1/2 cups flour and salt. Pour into pan. Beat cream cheese and remaining 1/4 cup sugar at medium speed with an electric mixer until fluffy. Add egg whites and remaining 1 tsp vanilla; beat until blended. Stir in 2 tbsp flour until smooth. Drop by heaping tablespoonfuls over batter in pan; gently swirl with a knife. Bake at 350º for 30 to 32 minutes. Cool completely in pan on a wire rack (about 1 hour). Lift from pan, using foil sides as handles. Remove foil; cut into squares. angled metal spatula (similar to this one) to get precise edges! SO, I have a confession to make. It was very late last night when I was baking and I may have made a faux pas...I misread the recipe a bit. You see, when I first got to it, the oven started smoking while preheating! Some of the butter, from cornbread I made on Tuesday night for an oyster roast we hosted, must have spilled over into the oven. By the time we resolved that issue, it was even later than when I started and I was a bit frazzled to say the least. When I read 4 eggs at the top under ingredients, I misread as 4 eggs total (thus thinking 2 for the batter and then 2 for the egg whites in the cream cheese mixture). Oops! I will say, however, even with this mistake the recipe turned out to be absolutely, positively, amazingly deeeelicious! So while I can't speak for the end result of the recipe when followed perfectly to a T, I can say my recipe mishaps turned out to still be a success! I'll also add that I really liked this recipe, because it was fairly simple and hands-on time was short. Bryce and I divided and conquered (I made the brownie batter and he made the cream cheese mixture) to speed up the process even more. I'm taking about half of this batch to share with teacher friends and school today, and we also have a few holiday parties and events this weekend which has me considering whipping up another batch or two! 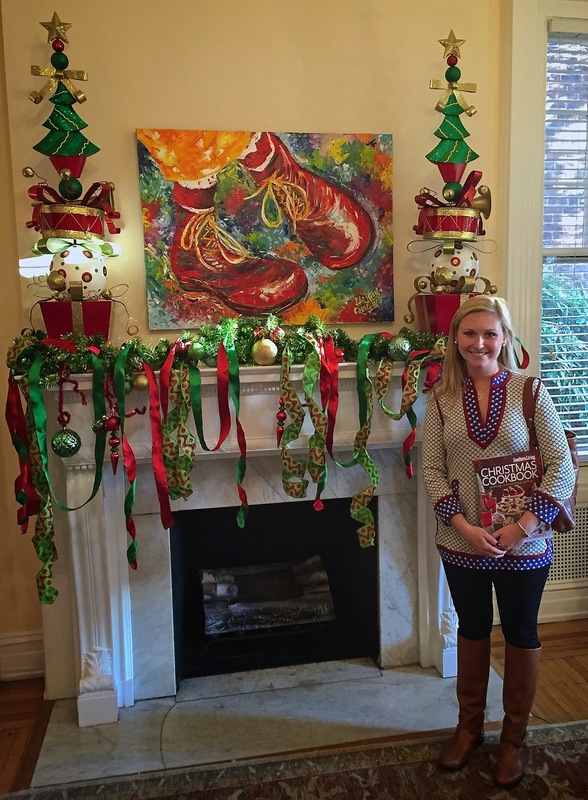 And now for a little bit more about my experience at Richmond' s Ronald McDonald House. For those of you who aren't familiar with the organization, Ronald McDonald House "provides a home away from home for seriously ill children and their families." The Richmond location can house up to 9 families and also houses 5 family rooms at the Children's Hospital of Richmond and St. Mary's Hospital for those families whose circumstances dictate that they need to be just steps away from their hospitalized child. The house is in a gorgeous historic Monument Avenue home and lots of care is put into making the families feel as comfortable as possible. For example, rooms in the house are nicely furnished, children are provided a stocked playroom and planned activities, and dinner is prepared each night by volunteers. I left the house feeling exhilarated and knew this was an organization I wanted to become more involved in. Since then I have been brainstorming volunteer ideas and feel fortunate to have such a special organization located here in Richmond. Families staying in the house are asked to contribute a $15 donation per night of their stay, but are never turned away because of an inability to pay. That being said, every dollar donated to the organization helps: Since 1994 Dillards has donated more than $11.4 million dollars to Ronald McDonald house charities through the sale of its special edition Southern Living Cookbooks! Wellll...have you clicked over to Dillard's to order a book yet? If not, what are you waiting for!? For just $10 you can have a wonderful Christmas gift or more than 200 delicious recipes at your fingertips, all while helping the Ronald McDonald House closest to you! Click here to purchase! What are some of your go-to recipes for the holidays? Are you familiar with, or do you have a Ronald McDonald House in your community? Do you give back during the holiday season? If so, how? 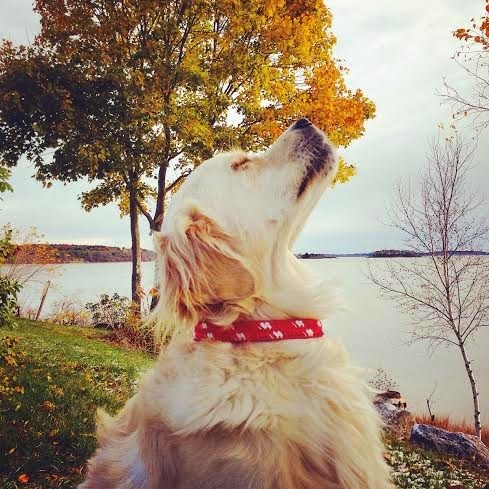 And, last, but certainly not least, have you entered my York River Traders Mariner Dog Collar giveaway yet!? It would be the perfect present for your pooch or a dog lover this holiday season! Click here to enter! I think I have told you this before, but I have the same gold deer on my table! love that proceeds benefit the Ronald McDonald House! Those brownies look delish :) may attempt to make them this wknd! Thanks for sharing! These sound fabulous! And what good is a story without a fun twist?! I'm glad your "mishap" was still delicious and I appreciate you sharing the cookbook! I can't wait to try the recipe out. Have a fun weekend!! Oh yum! What a great cause, as well. 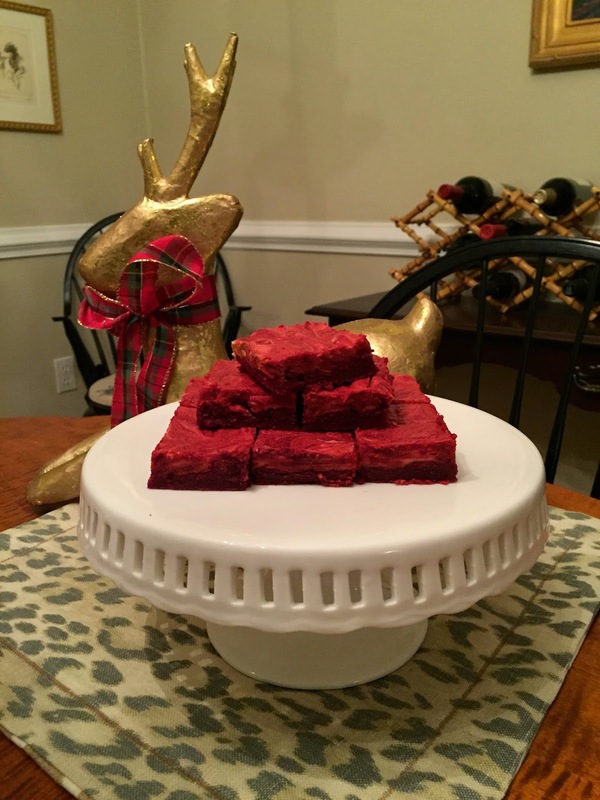 Looks like a fabulous recipe and I LOVE That is is for a deserving cause! I <3 the Ronald McDonald House! Oh my goodness. I must get the cookbook and try the bacon-bourbon figs! What a great cause and those brownies look divine! How wonderful!! The brownies look delicious! Ronald McDonald houses are such a wonderful place. We visited ours last summer dropping off a VBS project. Such a special place. Thanks for the information about the cookbook! Those brownies look delicious. The SL cookbook would make a perfect gift for a few on my list!